This month’s featured artist is award-winning songwriter Gretchen Peters who has penned songs for Martina McBride, Etta James, Trisha Yearwood, Shania Twain, Neil Diamond and Faith Hill, and has co-written with Bryan Adams. A gifted storyteller, Peters was inducted into the Nashville Songwriters Hall of Fame in 2014. Peters is not afraid to address difficult topics in her music and has written about mortality, ageing, the sexualisation of teenage females, abuse, religion and dealing with change. Though Peters doesn’t consider herself a political writer, she is politically minded and, therefore, knew she had to address the 2016 Presidential election and all that has happened since…but in her own way. Peters spoke to iSing’s Line Hilton. iSing: Why are you going out on tour now and why the UK? Gretchen Peters: The obvious reason is that I have a new album to promote. The UK is my “home” territory in a lot of ways; it’s where I have the biggest audience and I’ve been touring there 21-plus years. So it makes sense to launch the album from the UK (the tour starts the day after Dancing With The Beast is released on May 18). Beyond the necessity of promoting an album, it’s just time we got out there and played the new songs for people. I love touring, I love the immediacy of performing. Everything else I do involves so much delayed response – writing and making albums takes months and while it’s immensely satisfying, it doesn’t put you in the moment like performing. iSing: What do you think are the vocal/musical qualities required to sing country? GP: I don’t consider myself a country singer, really. I guess stylistically I’m more of a folk singer, or a singer-songwriter, the latter being my preferred term. I am a great fan of country music, though not necessarily the kind you hear on commercial radio these days. 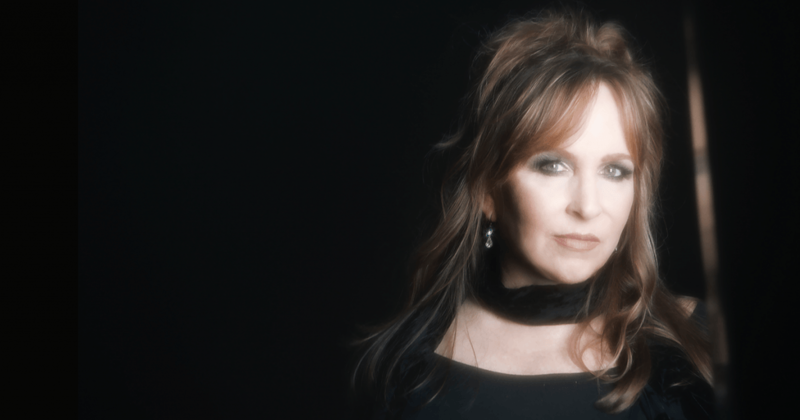 I love voices like Patty Loveless, Merle Haggard, Vern Gosdin… I think for a country singer and a folk singer the most important thing is to remember that you are telling a story. I used to have a choir teacher back in college who yelled at us “listen to the words you are singing!” (do all choir directors yell?) – but he was right. Singing to me is really akin to acting – you have to inhabit a character, you have to tell a story. You don’t need a perfect technique, you just need people to believe you are telling them the truth. There’s an easy intimacy to singing folk and country music, and perfection can get in the way of that. iSing: What are your tips for writing a great song? Keep it simple – if you’re delivering a lot of information in the lyrics, the music needs to be simple, and vice versa. The point is not to wow the listener with all your musical tricks, the point is to tell a story. Tell the truth – every listener knows when you’re not being authentic. The truth and the facts are not the same, by the way. The facts don’t matter – you can make them up. But the emotional truth always has a way of, well, ringing true. Concentrate on small details – make a little movie out of your music and words. Details are, paradoxically, what makes a song universal. Paint me a picture. Show me the movie. iSing: What kind of vocal regime do you have? GP: In my thirties, I could walk on stage without warming up and just do my thing. Those days are over! Now I have to warm up before a show for at least half an hour, sometimes more. It’s no fun but it’s even less fun to find yourself three songs into a show knowing that you’re going to struggle all night because you didn’t warm up. I start with humming until I get that buzzy feeling in my mask going. Then I move on to very light arpeggios, moving through the vowel sounds and expanding into the upper and lower parts of my voice. Maybe some “ma-may-mi-mo-mu’s”. Once I start to feel really limber, I do a few “whoas” (like a siren) just to see how my voice feels when I push a little. That part is the weirdest sounding and always cracks up my tour manager. It’s like the sound of someone jumping off a cliff. I also try, where possible, to not talk during the day when I’m on the road. It’s really hard, especially when you’re travelling with your mates in a noisy van and everyone else is talking and laughing. I also drink loads of water (room temperature) and avoid heavy meals before singing. iSing: What concerns you the most about your voice? GP: The challenge is that as my voice ages, there are just parts of it that change – for the female voice, the break gets wider and harder to navigate. It’s almost a constant process of relearning how to sing. But I never considered myself someone whose strength was a powerhouse voice. I’ve always felt my gift, if I have one, is to convey emotion in a more intimate way. I try to sing as though I’m singing straight into your ear. I think about telling a story, not how my voice sounds. Every time I’m struggling vocally on stage or in the studio, if I remind myself to just tell the story, and everything settles down and I’m able to sing again. iSing: What spurred you to write Disappearing Act? GP: I think subconsciously I was thinking about my mother, who passed away late in 2016. There’s certainly a lot of her honesty and bravado and wisdom in that character. There have been certain female characters that I’ve written over the years that I’ve just fallen in love with, and she’s one of them. The women in Five Minutes, Woman On The Wheel and Circus Girl are also up there. When you start to feel a character moving inside you, talking back to you, telling you things, that’s when you know you’re on to something. The woman in Disappearing Act wouldn’t let me go. She had a lot of things she wanted to say. iSing: What has your experience been with ageism in the music industry? GP: I think the fact that I made a left turn into an independent, self-sufficient career very early on (in 2000, with my second album) was essentially a pre-emptive move to protect myself from that. I made my first album when I was in my thirties; these days I would be considered too old to start a recording career. When that album came out I felt external pressure about how I should look and was advised not to tell people my age (this was 1996, before you could find everything out on the internet). I just thought: “Screw this. I’m going to be my own boss, and I’m never going to fire myself for being too old or not looking like a model.” So of course, I’ve seen ageism and sexism up close in the music industry – but when you are in charge of your own career you can choose not to engage with it. Have there been missed opportunities because of those things? Undoubtedly. Have I dwelt on that? Not even for a minute. I’m blessed with a very good set of blinders, and I’ve found that putting them on and getting to work is the only way. iSing: Why do you think the music industry has been less forth coming with the #metoo movement? GP: The music industry is like any other industry, they want to offend as few people as possible. It’s only when the pressure from the public becomes too much that corporations will respond. The responsibility to stand up for what’s right lies with each of us. To quote John F. Kennedy: “Of those to whom much is given, much is required”. I believe that if you have been fortunate in your career, as I have, it’s important to reach back and give a hand to the ones who are coming up behind you. Encouraging and mentoring younger women artists is really important to me. I’m not waiting around for “the industry” to see the light. We should call out businesses to do the right thing, and apply economic pressure – but to expect human compassion from a corporation is crazy. We have to do it ourselves. #metoo is a good start. Let’s keep it going. iSing: What gets you up every morning? GP: A project. I have to have some kind of a project, whether it’s an album or a song or a tour or just cleaning out my closet. I’ve never been bored in my life, and I have enough projects on the back burner to last me the rest of it! iSing: What’s next for Gretchen Peters? GP: A lot of touring in the near future; we’ll be coming back to the UK after our spring tour to play some festivals, and touring the US and Canada and Europe as well. I’m finishing up another recording project right now, which I’m really excited about – that’ll come out in another year or so. After that, maybe I’ll clean out that closet.